Melissa and Phil held their wedding reception in the Oak Room at The Columbus Athenaeum and this is their toast. I always love to look for different angles on the same types of things that happen at all weddings,such as the toasts. 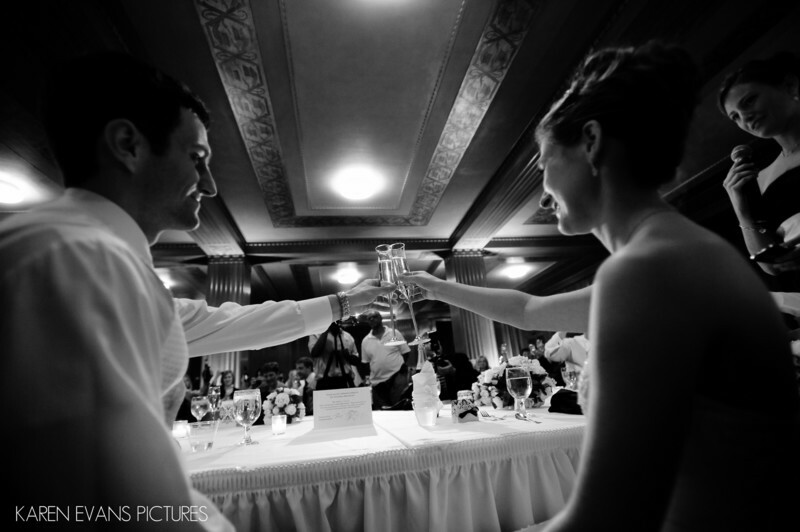 For this shot, I knelt behind them and was able to capture not only their clinking glasses but the person giving the toast on the right, thereby telling the whole story in one frame.Keywords: columbus athenaeum (105), downtown (246).